Creighton Chaney came to the Northland Asylum looking for a cure or a cage. What he found was his true self. 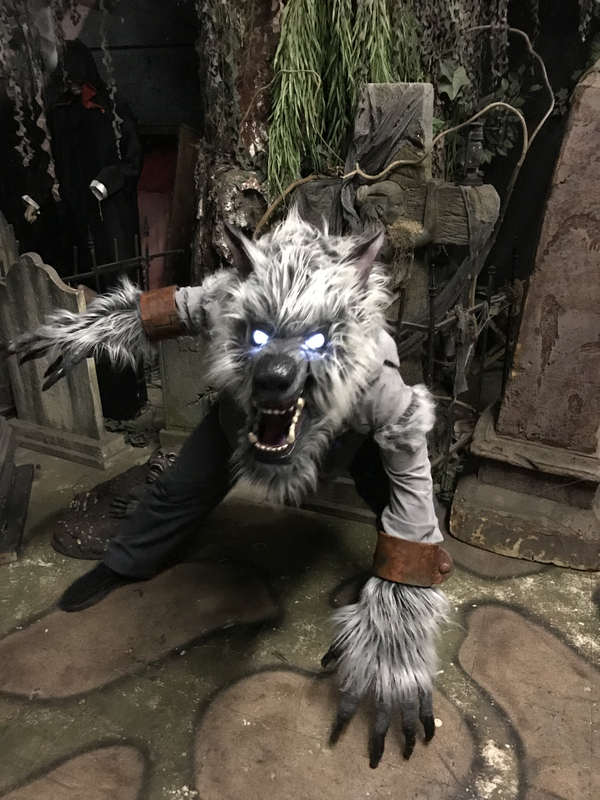 I built this costume for the Midwest Haunters Convention in Columbus, OH. 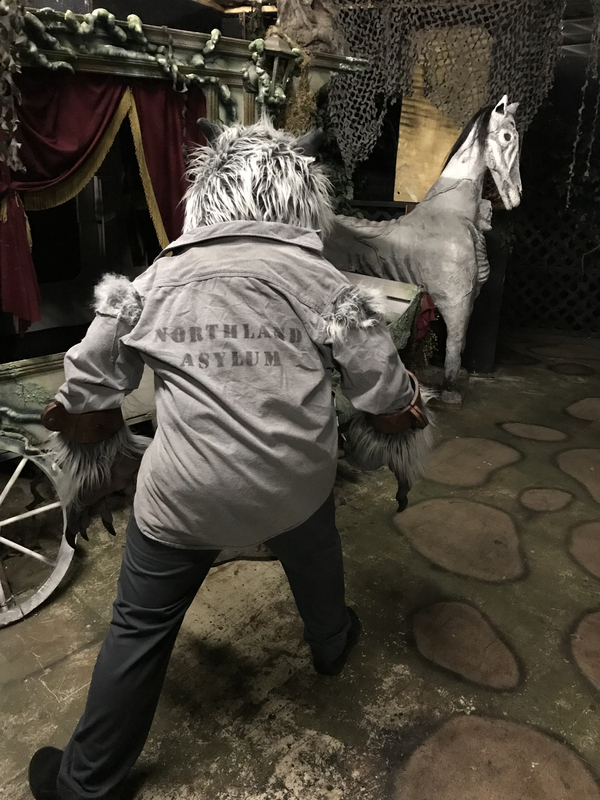 I also performed the character two nights a week at the ScareAtorium, my home haunt in Columbus, OH, this past haunt season. 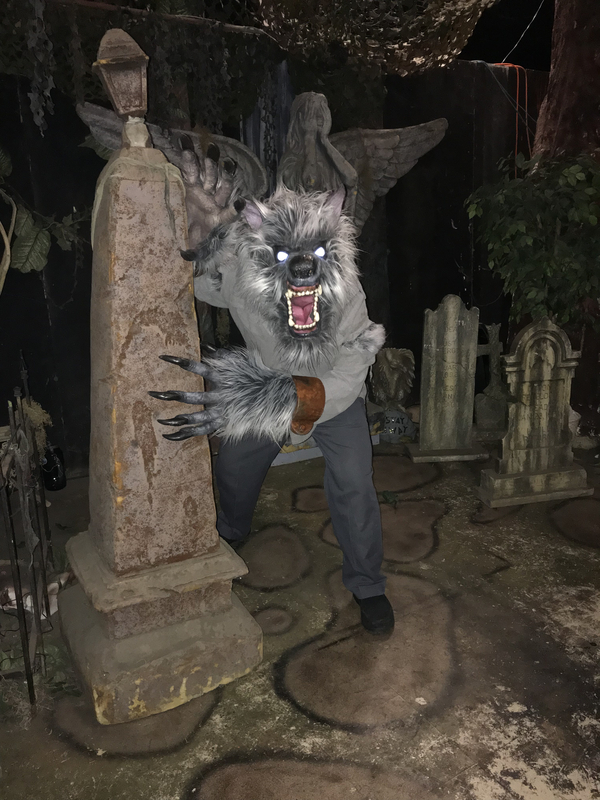 I would pretend to be an animatronic until the customers got right next to me, then lunge. I'm happy to say that the scare worked most of the time and I was given the "Most Mentioned Character" award at our end of season cast party. The head and hands are made from EVA foam, coated in Plasti Dip. I first carved the head out of upholstery foam, and used that to make the pattern. I used my own hands to make the pattern for the claws, then altered the pattern in Adobe Illustrator. Visibility is through the mouth, and the wolf's jaw moves with the wearer's jaw. The head is a mask and the neck straps under the wearer's arms and Velcros to the back of the head. Sort of a low tech version of how the Underworld wolves went together. The eyes are LED. 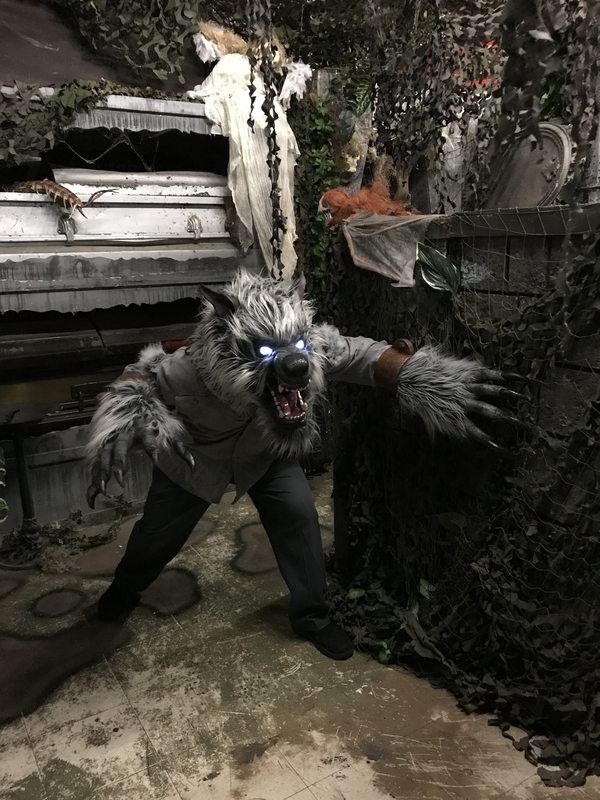 I used an MP3 player hidden in the hand and a small speaker to add howling and growls to the costume.